Windshield questions anyone know the NAGS numbers? Does anyone know the NAGS numbers for our windshields? Maybe a tint break down by year? I found out the NAGS number for the GMC RVs that look like ours. 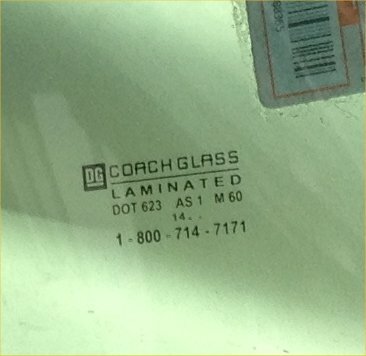 I was told the only manufacturer is Coach Glass and therefore there is no NAGS number. Looks like they are a slightly different shape. Straight on the gmc on the side and angled on the argosy. Whelp still looking for someone parting out an argosy with good glass. Thank you, I sent them an email to see if they had one.